I have been wrong about a lot of things. Really. I think we all have our creative bend. I have been very wrong several times about what my being creative looks like. Mine is perhaps hidden a bit deeper than others... In the journey of discovering where I am creatively gifted I have had many strike outs! Here are some of my biggest 'wrong' creative moments. Painting my bedroom in college bright blue. It was like living inside a goldfish bowl. I got inspired one day on a whim. Grabbed whatever random paints were in the house & went outside to paint. Unable to find any blank paper, I grabbed my blow dryer. I painted the entire thing, even the cord. It still worked, but everywhere I went I had to explain the my strange creation. When I was 12 I was living in Siberia. I just knew that deep down inside there was a fantastically choreographed dancer. So I took Russian folk dancing lessons. 'Cause that's real cool when you are 12. Having always had a flair for the dramatic, I realized that I should give the theater a go. My high school was doing a production of Oklahoma. I tried out. I was in the chorus. In one song. That didn't go far. I am not a painter, not a dancer, not an actor...Maybe I need to get more creative? Maybe I should get real creative & pretend I am an athlete. 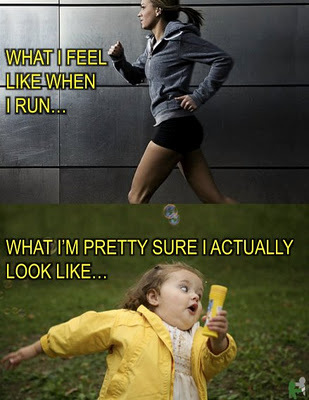 I finally got up the nerve to try running. It felt kinda good for a bit. This picture pretty much sums up that phase. Now that I am in my 30s, I realize that 'creative' is a broad word. It doesn't have to mean a skill or something you would see on a Pinterest board. Being truly creative is a mindset. An attitude. Seeing the world differently than others. Inventing and imagining. Thinking of an issue in a different way. We are all creative. Maybe not in the obvious ways. 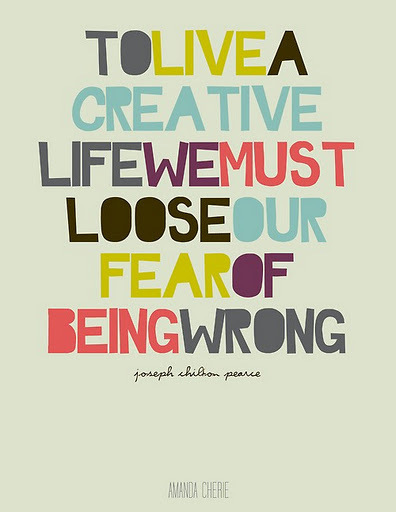 We just have to get over our fear of being wrong. Picking the wrong color. Choosing the wrong word. Running the wrong direction. What ever you are afraid of, get over it. Get creative. Get inventive. Get imaginative. Who Wants To Carpool Kids To Scout Camp With Me?